The UN and U.S. today announced the imposition of financial sanctions and a travel ban on militia leader Ibrahim Jadhran (File photo). 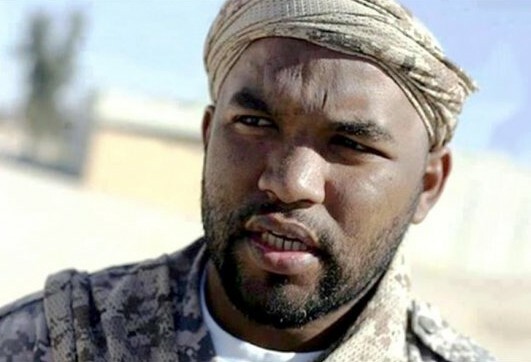 The United States, in coordination with the UN Security Council’s Libya Sanctions Committee, imposed financial sanctions on Libyan militia leader Ibrahim Jadran (Jadhran) today. The statement said that in accordance with today’s UN listing, which was proposed by Libya’s Permanent Mission to the UN, the U.S. Department of the Treasury’s Office of Foreign Assets Control (OFAC) has designated Jadhran pursuant to Executive Order 13726. The statement said that consequently, all of Jadhran’s assets within U.S. jurisdiction are blocked, and U.S. persons are generally prohibited from engaging in transactions with him. In addition, the corresponding UN sanctions require all UN Member States to impose an asset freeze and travel ban. It will be recalled that in June 2018, forces led by Jadhran violently attacked and seized control of the Libyan oil ports Ras Lanuf and Al Sidra. This created an economic and political crisis that cost Libya more than US$ 1.4 billion in revenue and set back efforts to promote political progress and stability in Libya. The statement said that Libya’s oil facilities, production, and revenues belong to the Libyan people. These vital Libyan resources must remain under the exclusive control of the legitimate National Oil Corporation (NOC) and the sole oversight of the Government of National Accord (GNA), as emphasized in multiple UN Security Council Resolutions. Today’s action, the statement said, shows that the United States and the international community will take concrete and forceful action in response to those who undermine Libya’s peace, security, or stability.